Awesome picture, right? Courtesy of WWE.com, so thanks to them for that. Anyway, with an eventful 2018 drawing to a close and some excellent WWE and NXT matches to fondly look back upon – as well as some not so good matches and angles, our thoughts move to the coming year and what surprises it may hold going forward. I think there’s been a lot to celebrate this year for us fans; the continued growth and success of NXT, Ronda Rousey’s seamless transition into the world of professional wrestling, the continuation of the legend that is Chris Jericho, the list goes on. With that in mind, and with WWE being in a healthy place, I began to think about a personal wish list for 2019 – here goes. I’ve gone on about Brock Lesnar and his championship reign quite a bit on here, but it seems that WWE just don’t care that the champion of their flagship show is absent most of the time. Sure, I could grumble about it and ignore the fact that WWE knew all along this would happen, but surely after the shocking and sad vacating of the title by Roman Reigns, they could’ve come up with something better than the tired old formula. I can’t see this changing until Wrestlemania, which means another four months of no Brock. If WWE’s intention is to crown a new champion on the grandest stage of them all, then fair enough, but once that’s done, can Brock be moved on to UFC with the best wishes for his future endeavors? It appears that he’s WWE’s backup for when things go wrong and seen as a steady champion. Perhaps the belt is cursed, like some say, and the curse is too frightened of Brock to do anything to him. If after Wrestlemania, the belt is moved on; hopefully the flagship show can showcase the premiere title on a weekly basis and have a champion on screen week after week. Daniel Bryan spent most of his WWE career as a baby face, aside from a brief stint as part of the Nexus (don’t mention ties), but this new heel run has been great so far. 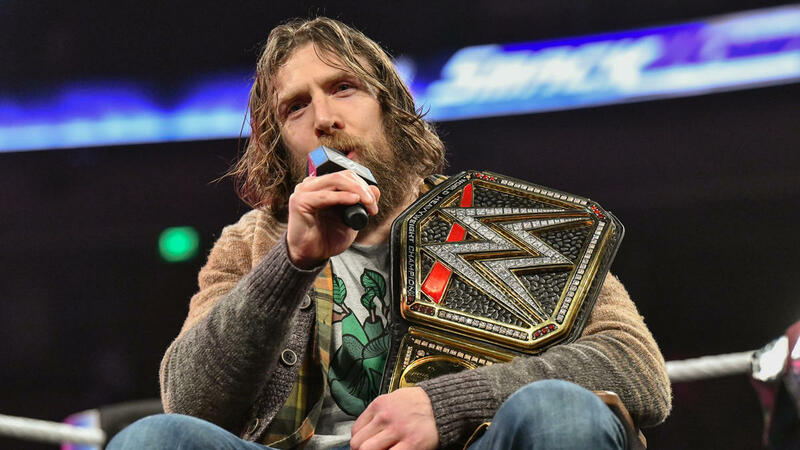 Not only has it given AJ Styles a new challenge and made him become the man chasing the title rather than defending the gold, it has also given us the opportunity to see this seldom-seen side to Bryan. His interactions with Miz now and over the years have been fantastic, and the pair bounce off one another brilliantly. Miz can only help Bryan bloom. The stance Bryan has taken is also a good move. His Eco/Environmental standpoint isn’t something I’ve seen or heard before in WWE. It allows him to openly talk about a subject he knows a lot about and can really put over a holier-than-thou attitude to the crowds. Hopefully this isn’t a flash in the pan and WWE will have learnt their lesson by allowing Bryan to blossom with his gimmicks and connection to the WWE Universe. Even though Samoa Joe has done a solid job as a heel to AJ Styles in recent months, Smackdown needs something fresh to knock it up a notch (Bam! – Futurama reference, people), and Bryan could be that guy. It’s interesting and makes us want to watch, which is always a good thing, isn’t it? 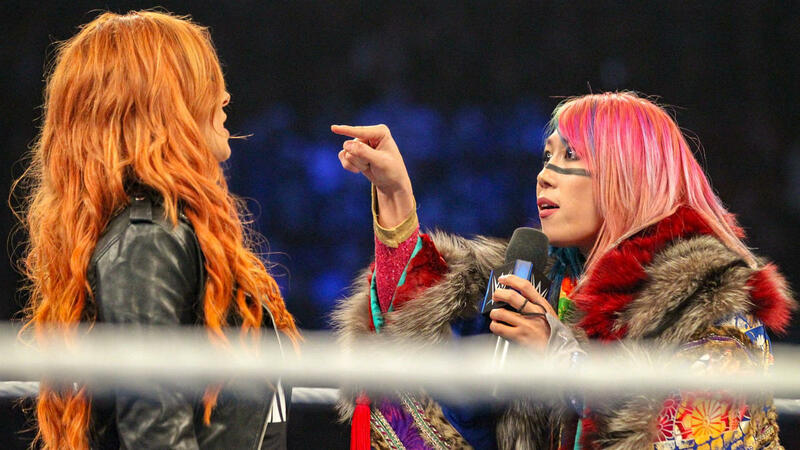 It was very pleasing to see Asuka will be involved not just in the Smackdown Women’s Title match at TLC, but also in the story-line. It must be difficult for her to trade verbal blows with Becky Lynch and Charlotte Flair, who are both accomplished talkers, but the Empress of Tomorrow held her own. Her ranting in Japanese when frustrated is a nice touch and I think WWE should use that angry, headstrong side of her character more. Both Becky and Charlotte are measured, calculating and strategic in their approach, so to see a more aggressive, smash mouth style by someone else is good. I’m firmly in the camp that believes Asuka’s streak should’ve been broken and I think Charlotte was the perfect opponent to do it. However, her booking after that fact was, to put it frankly, abysmal. Like Daniel Bryan’s heel turn, hopefully this won’t be a temporary thing and Asuka can be involved in the upper echelons of the title picture, hopefully leading to a feud with Charlotte going into Wrestlemania season – as we all know ‘The Man’ will have her hands full dishing out Ronda Rousey’s first defeat. Yeah, I said it. Becky’s my pick. Don’t @ me. Those are my top three wishes for 2019, what are yours? Do you want to see a better use of the United States Title? How about the tag team divisions? Do you want to see Asuka stay involved in the title picture or do you think Ronda Rousey will topple Becky come Wrestlemania? I’d love to hear your thoughts, so comment below or message me on Twitter @MikeSanchez1878 as well. As always, thanks for reading.